There are multiple different methods to choose from when it comes to lead distribution. Choosing the right one can be an easy task with the right knowledge. The lead distribution industry has a vast number of different clients who operate in many different verticals, there are 14 that are the most common, but there could potentially be hundreds of them in total. Through almost 20 years of experience in the lead distribution industry, these are the six different methods for distributing leads that we found most successful while working with diverse lead verticals. The priority method is the most simple and common method of lead distribution. Filter sets are what’s important to priority, not what they’re worth. Specific filter sets are favored because particular leads are not as common. The more generalized buyers are often remnant buyers and receive more generalized leads. The priority method sends a lead through specific filter sets to see if it matches with any of them. If a match isn’t found, the lead is given to a remnant buyer. Many lead verticals use priority as a lead distribution method, but debt settlement is a great vertical example. There are different types of debt, some are worth more or last longer than others. Student or mortgage loans could be worth more and last for awhile, so they’d go to the more specific filters. Auto loans are less expensive and more frequent, so it's likely to be a generalized lead. Priority doesn’t care about what leads are worth, but the price method is about money specifically. With the price method of lead distribution, there are no specific hierarchy of clients, whoever has the highest bid wins the lead. Ping post distributes leads in an auction-like style. Here is an article explaining how ping post works when selling, buying or distributing leads. The home improvement vertical is a good example of a business that would use price. Contractors will bid on leads that fit into the filter set. Whoever wants it the most, will pay the most, thus winning the lead. Phone call optimization is the goal for EPL, having quality phone conversations without having the lead stay on the phone for too long. 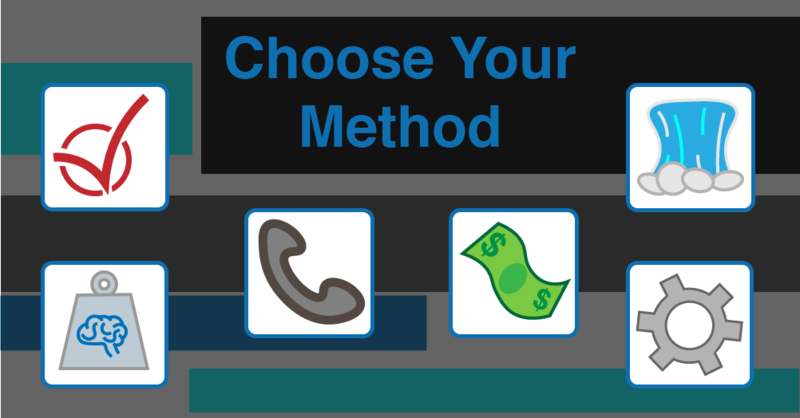 This phone based method requires two things for the buyer to be charged for a call. The buyer must answer before a set amount of time, and the call must last longer than the minimum duration. To find the quality score of a buyer, total revenue of all the calls in a timeframe is divided by the last “x” number of calls attempted to them. So compare the high paying buyer that doesn't answer as many calls, to the middle of the road company that doesn't pay as much per lead, but buy calls consistently. Buyer A pays $50 per lead, but out of their last 10 calls attempted to them, only bought 6 of them. Buyer B pays $35 per lead, but out of their last 10 calls attempted to them, bought 9 of them. Even though Buyer B pays significantly less per lead than Buyer A, their EPL is actually higher, since they have made more revenue in their last "x" calls. So the system uses quality score to sort the matching buyers, to decide who should get the lead attempted to them first. Like EPL there’s math involved with weighted logic. The jist is, buyers always have around the same percentage of monthly leads in their filter sets. For example, say we have two different buyers, Buyer A bought 100 daily leads, and Buyer B bought 10. The first lead is given to Buyer B, who has 1/10 which is 10% of his leads for the day. The next 10 leads will be given to Buyer A, so he will end up with 10/100, equaling 10%. After that, the next lead is given to Buyer B, so he will now have 2/10 leads at 20%. The next 10 after that are given to Buyer A, and goes on until both buyers have 100% of their leads. The moving vertical is a great example for the weighted logic method of lead distribution. There are different sizes and locations of moving companies. Bigger companies tend to buy more leads than smaller companies. After the leads are filtered by price and location, the moving company who has the lowest percent receives the lead. This method of lead distribution is used primarily in the payday loans vertical, since there's a database check. Leads are brought in, and sold like price leads, but the system does an authenticity check on the highest bidder first. If the bidder doesn’t pass the database check, then it goes to the next highest bidder and so on. When none of the above lead distribution methods fit the use case, the custom logic method is definitely an option. This method, is a component of the boberdoo system. We take pride in our extremely flexibility when it comes to all lead types and filters to satisfy our clients. As long as your case doesn’t end the decision tree with “...it depends..” we can build a customized lead distribution method that suits the needs of your leads and buyers. Ask us about it here. Information on all six methods can also be found here. boberdoo.com has been building software for lead generation companies and lead vendors since 2001. We have seen dozens of competing solutions come and go over the years, but remain the gold standard software solution in the industry. If you are a lead vendor in the market for a system that will handle your business’s entire back-office operations, we would love to help. Give us a call at 800-776-5646 or fill out the form below to find out if boberdoo is right for you.